Lime Venue Portfolio has boosted the sales functions of several of its venues. 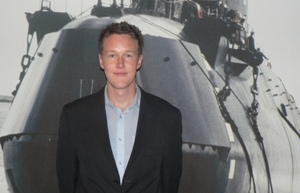 The seven appointments include the promotion of Liam Potter to sales manager of the Imperial War Museum North, with Natalie Ewing taking over his previous role of sales co-ordinator; Jessica Holland has been promoted from sales executive to sales manager of Libery Stadium Swansea; while George Kellett joins the Museum of Science and Industry as sales co-ordinator. The latter venue has also appointed Joanne Platt as sales manager and Lucy Cort as business development manager; while Manchester Art Gallery has recruited Jenni Smith as sales manager. Jo Austin, Lime Venue Portfolio's head of sales, said that the appointments were an indication of the busy months ahead, enabling the firm to capitalise on last-minute bookings by Olympic buyers and increasingly short lead times.